Register a company in Ireland (RACII) helps you open a bank account in Ireland for your new company, which calls for a fair span of time and doesn’t require you to toil around. 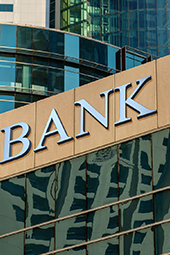 We have major contacts in quite a few of the leading banks in Ireland and internationally, this helps you in getting the bank account in Ireland that ensures your money is in safe hands. As seen, opening a bank account is sometimes a derailed and burdensome process that makes you undergo a great deal of trouble. However, by registering with us, you get relieved of this burden. Our safe and proficient service takes away most of this pain and speeds up the process significantly. In many situations we can offer remote account opening, however this is on a case by case basis. With our bank account opening service we aspire to have your bank account open within 1 week of application, however this does rely upon the bank and you providing us with the correct Customer Due Diligence (CDD) documentation under EU anti-money laundering legislation. We surely recommend on this in advance. In order to open a bank account in Ireland, every foreign investor needs to satisfy the policies of the bank by submitting proper proof with every document that gives assurance about the person to be legally sound. So if you desire to fulfill all the requirements by which you can open a bank account in Ireland then consider taking company registration services from us. Opening an account in any bank of Ireland is not that much complicated but getting the process completed with assistance of RegisterACompanyInIreland.com makes the processing simplified and also avoids the occurrence of any discrepancy that may affect later. This step is advised to be a necessary one because getting approved to do legal transactions in a country is an authority which is considered very beneficial for doing various other types of work too. In order to become an official part of Ireland opening a bank account is the easiest way that simultaneously opens up the gate to acquire various opportunities available in this country. Trading within the country and or making any transaction overseas is considered legal only when the person has a verified bank account which gives them suitable permissions to get transfer and receive payments in the form of white money. As going through this process is important so it is also essential to get the assistance of an experienced firm for opening a bank account in Ireland. Bank account in Ireland describes the financial status of your company. We offer services to open a bank account in Ireland to support prosperity of your business. Contact us today for superfine bank account services in Ireland. RACII can even offer bank accounts outside Ireland and for Internationally-registered companies. For more information contact us today.